Please find the agenda of the ToS meeting here. Discussion on the Working Party session on FSOS: which input is required and what would we like to present? For all further information regarding background, meeting venue, logistics etc. 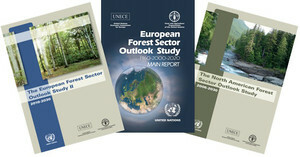 please see the event page of the FSOS event on the previous day "Exchange of Experiences in Forest Sector Outlook Studies and Related Work"
Please find the report of the ToS meeting here.